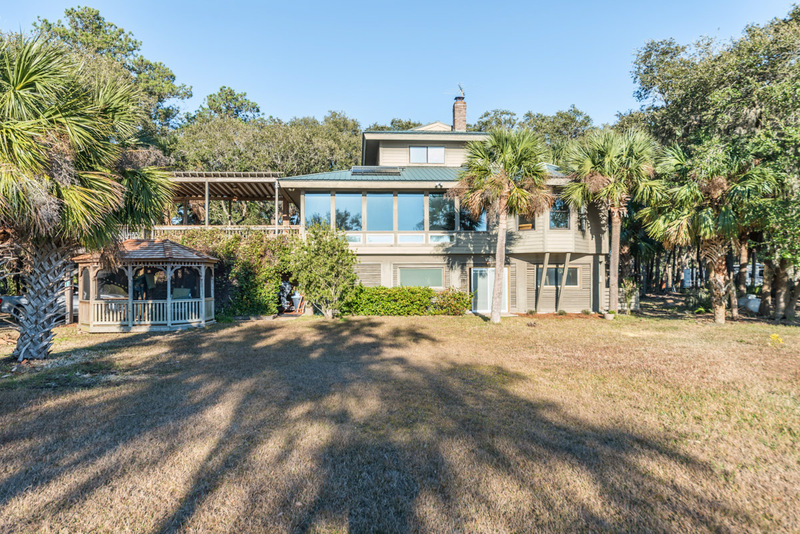 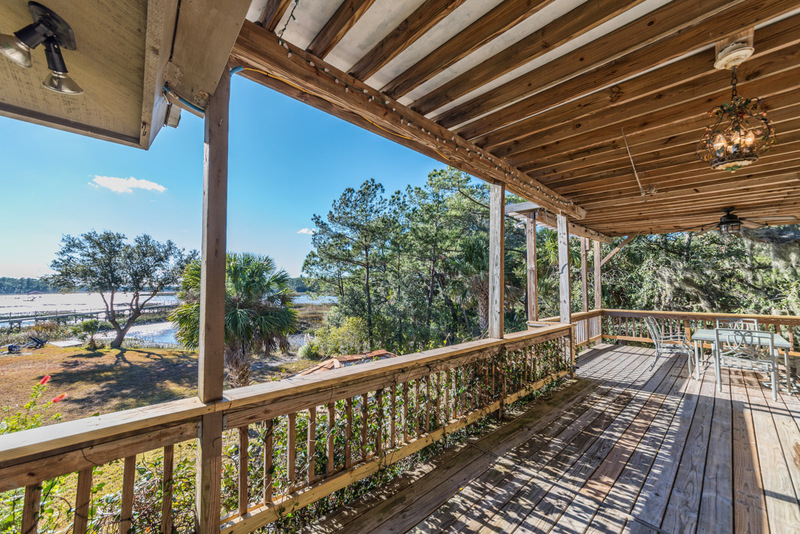 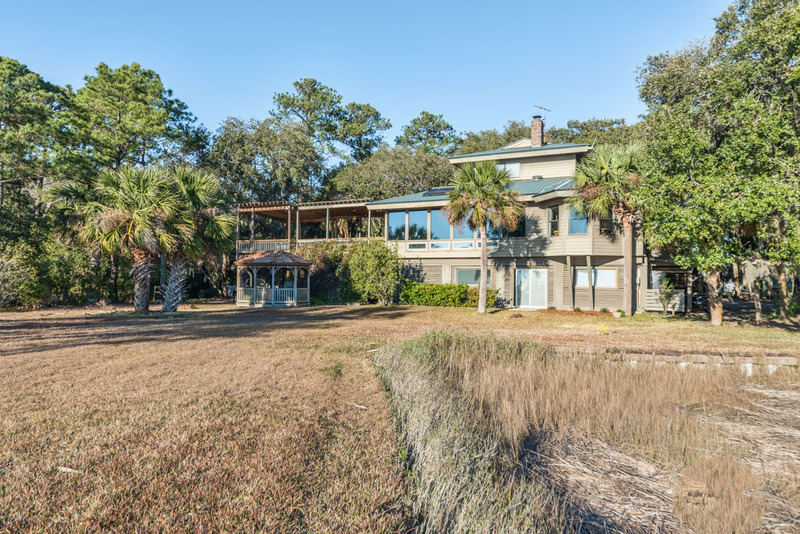 Lovely waterfront home on private peninsula in Beaufort with stunning views, fire-pit & floating dock. 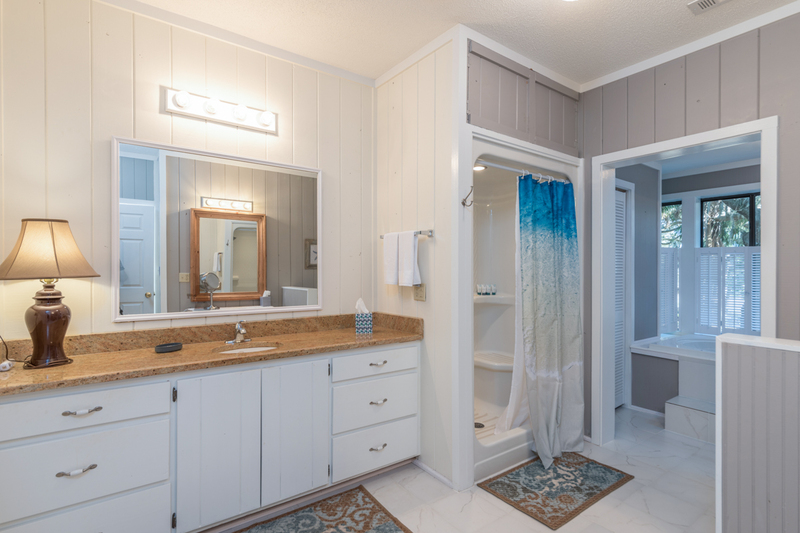 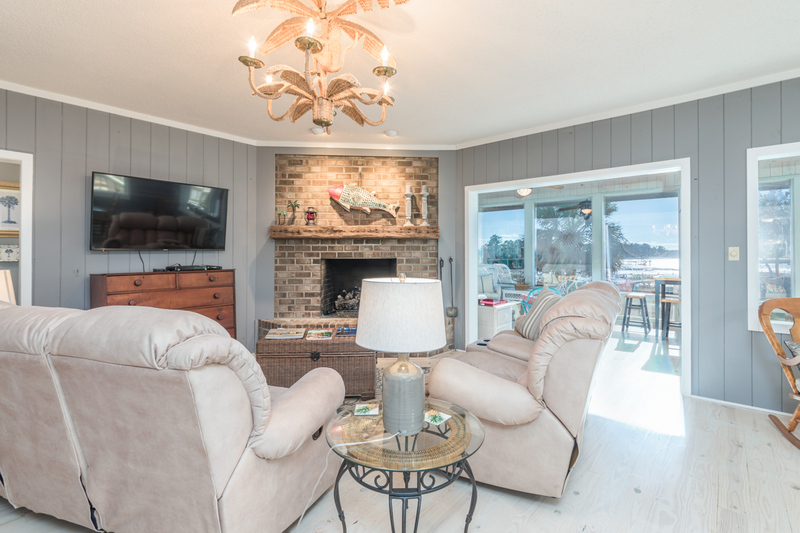 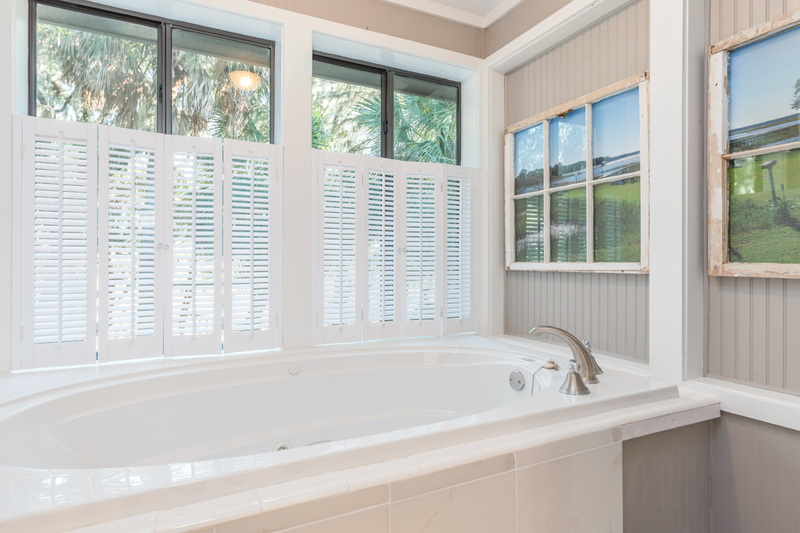 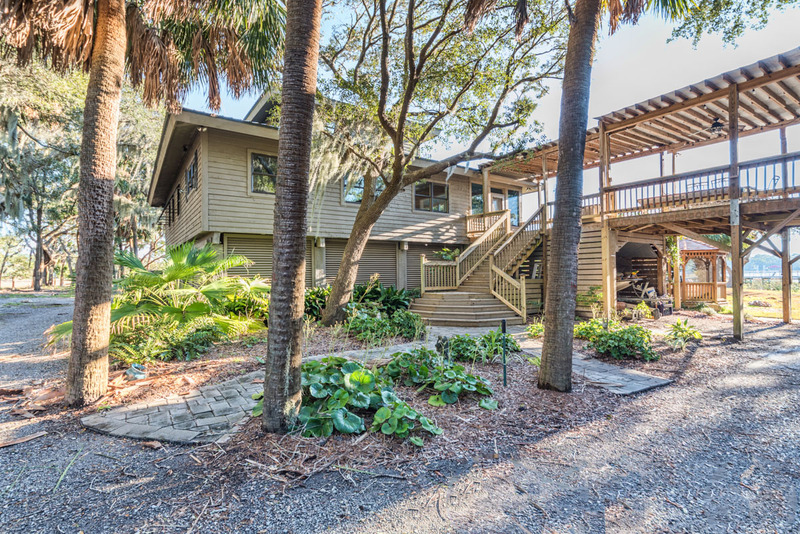 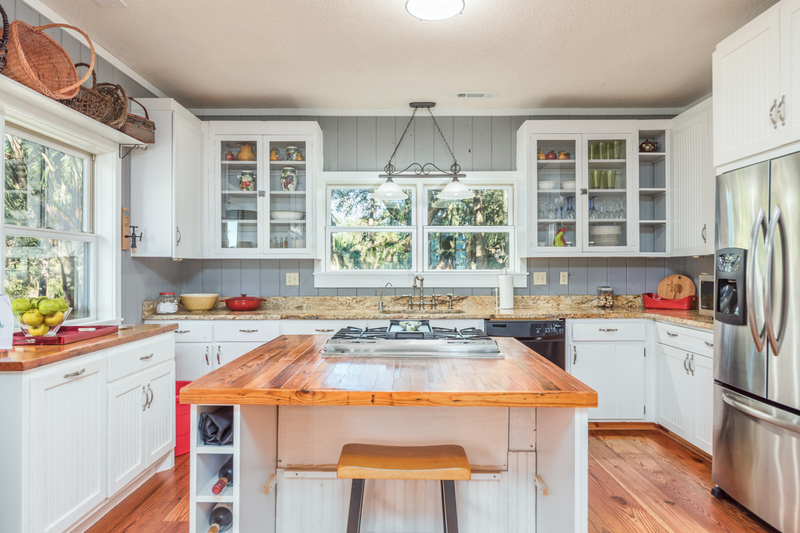 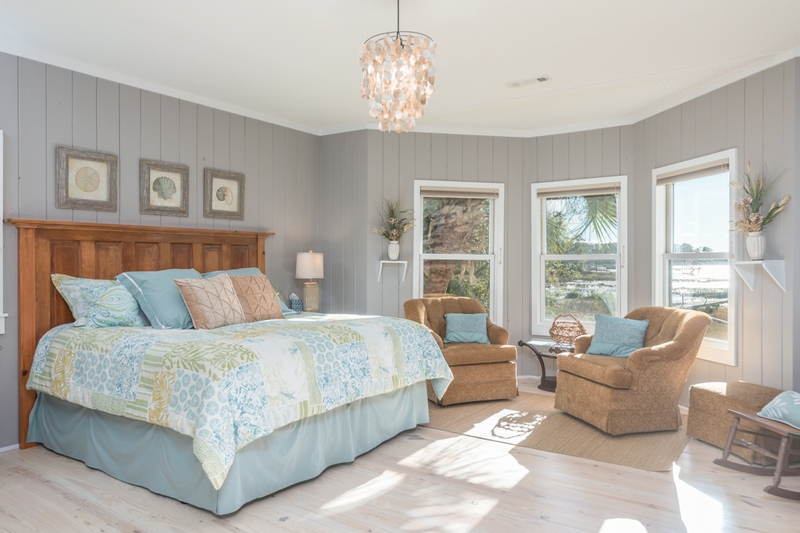 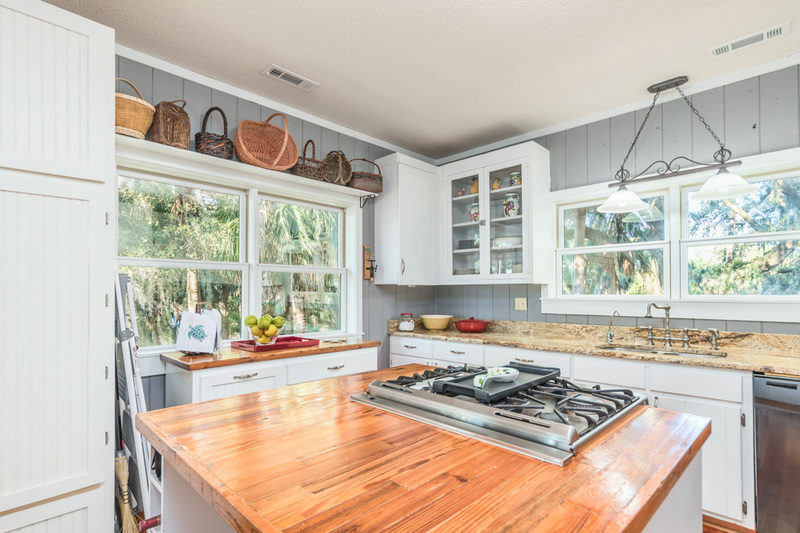 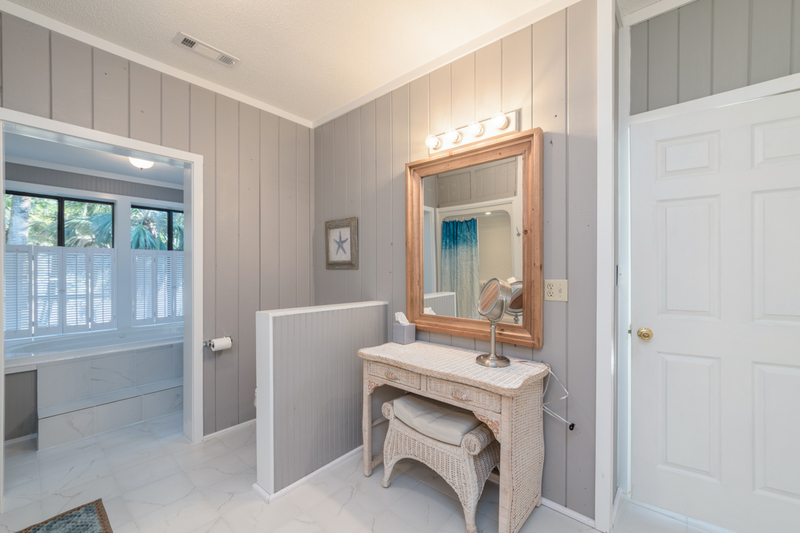 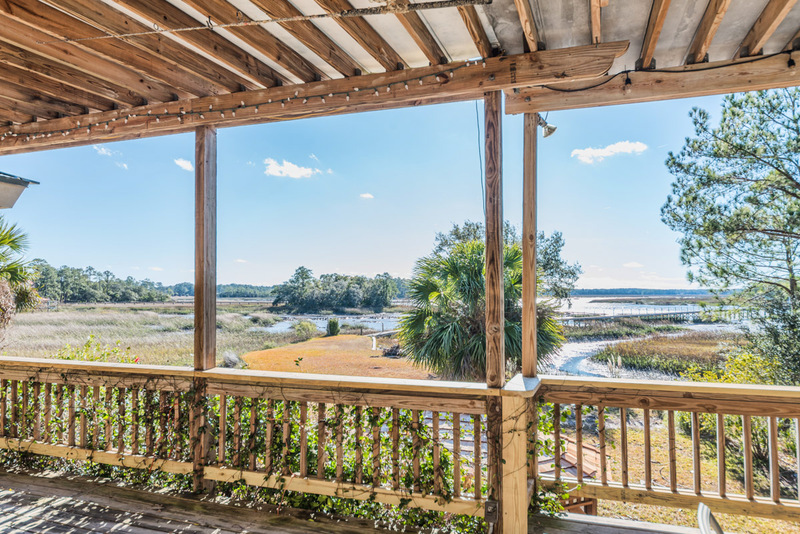 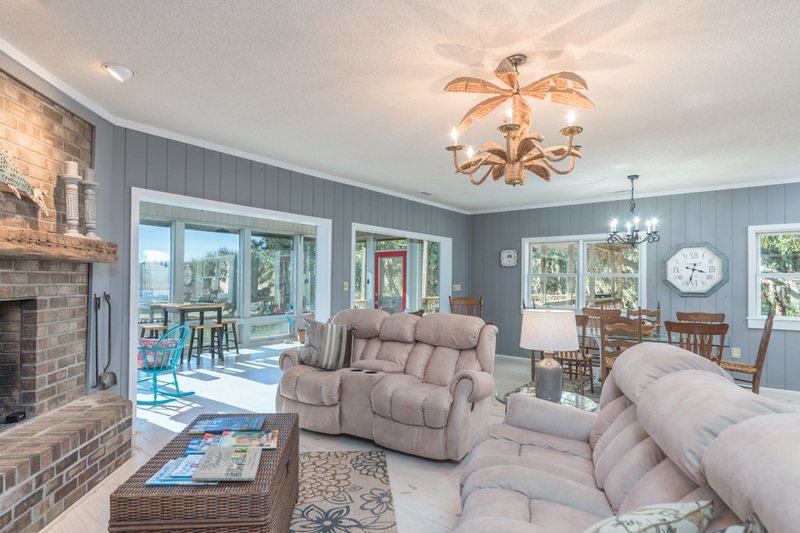 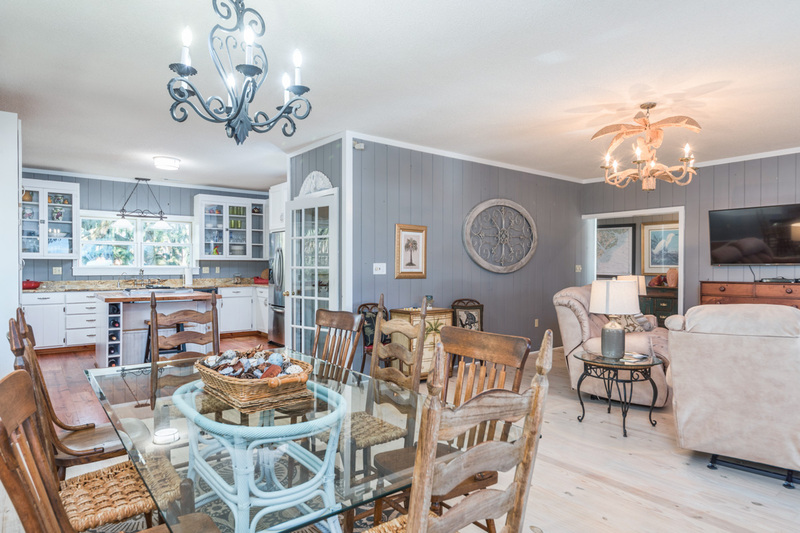 Located on a private peninsula along Lucy Creek in historic Beaufort, this recently remodeled waterfront home has four-bedrooms, four-baths and can easily accommodate 11 guests. 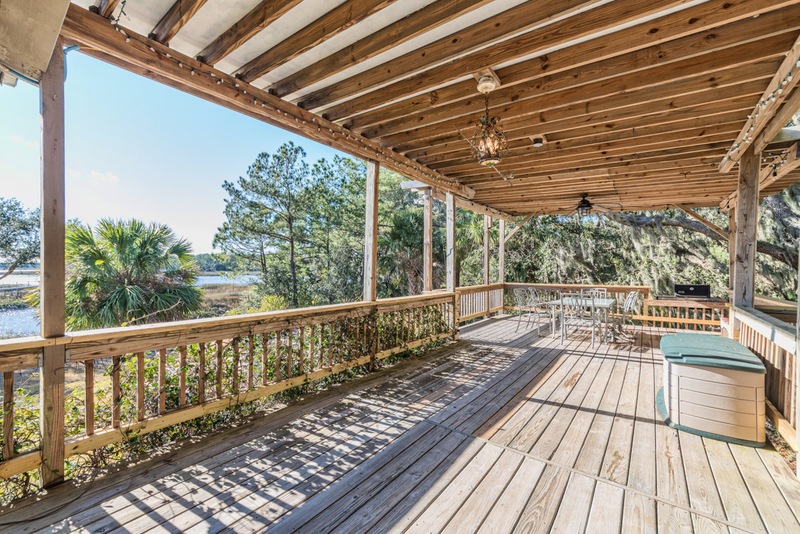 With a bright open floor-plan and a sun-room that spans the entire length of the back of the house, guests can enjoy stunning views of the creek. 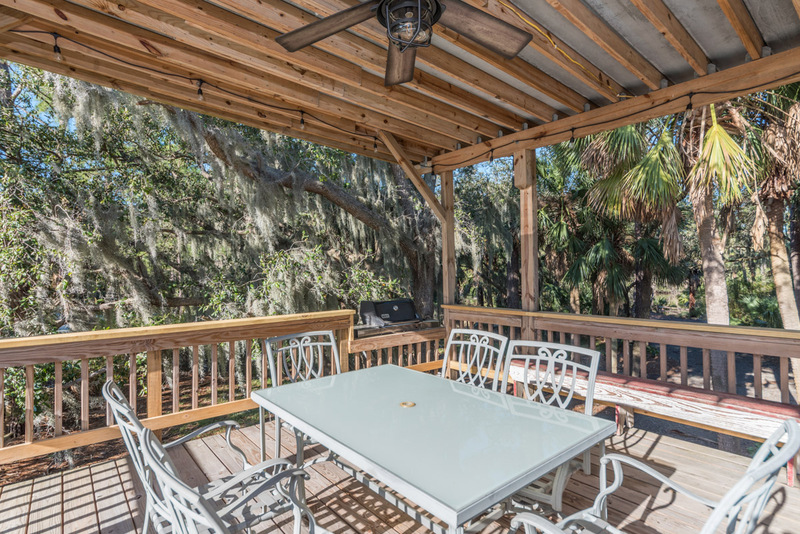 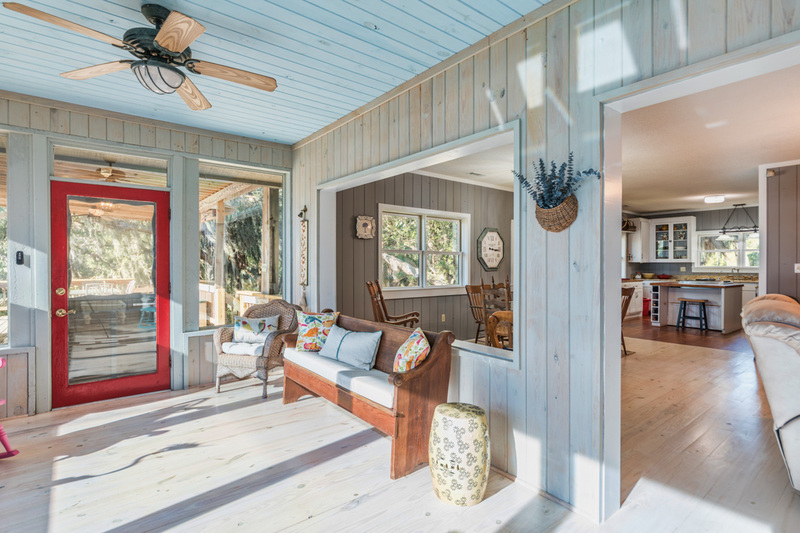 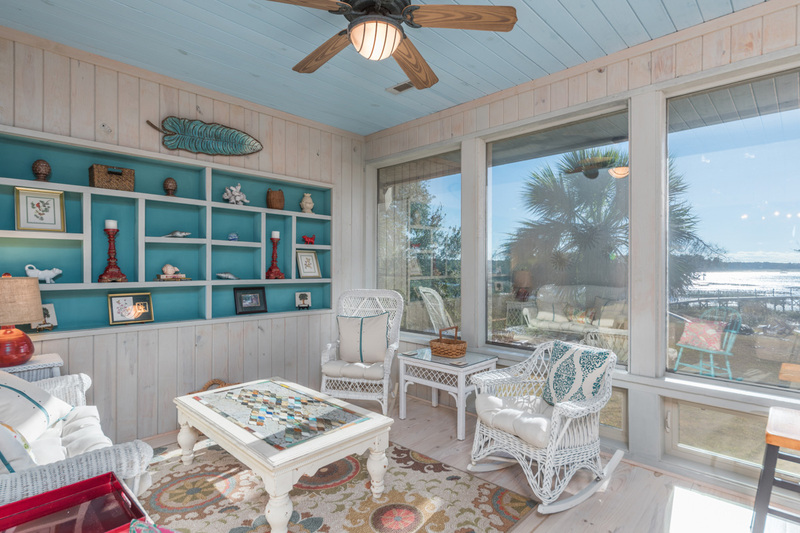 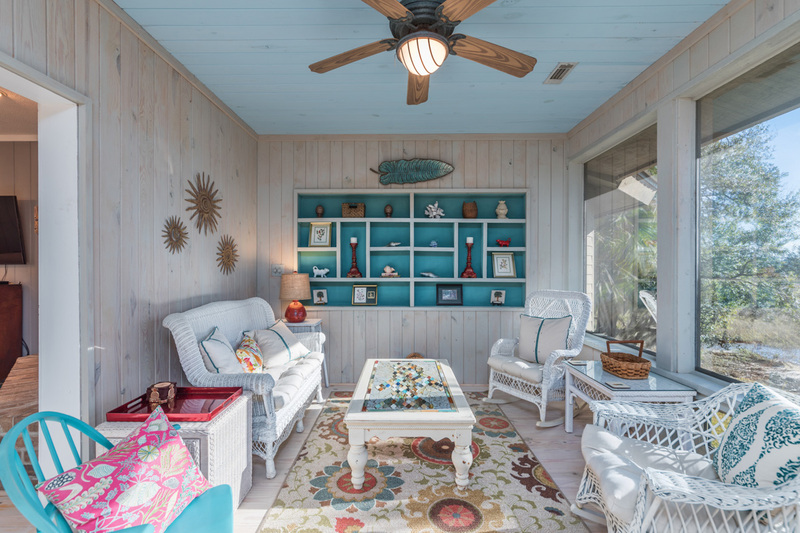 The home’s outdoor space is simply unparalleled and features an expansive covered deck with furniture, a floating dock— ideal for crabbing, fishing or sunbathing—a fire-pit, gas grill and gazebo. 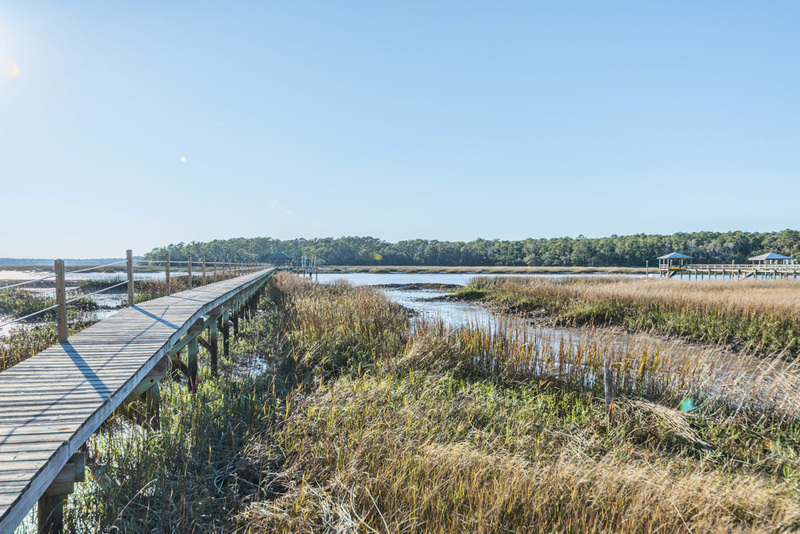 Guests can launch their boats at Sam’s Point Boat Landing, which is just down the road and bring them to the home to leave for the week. 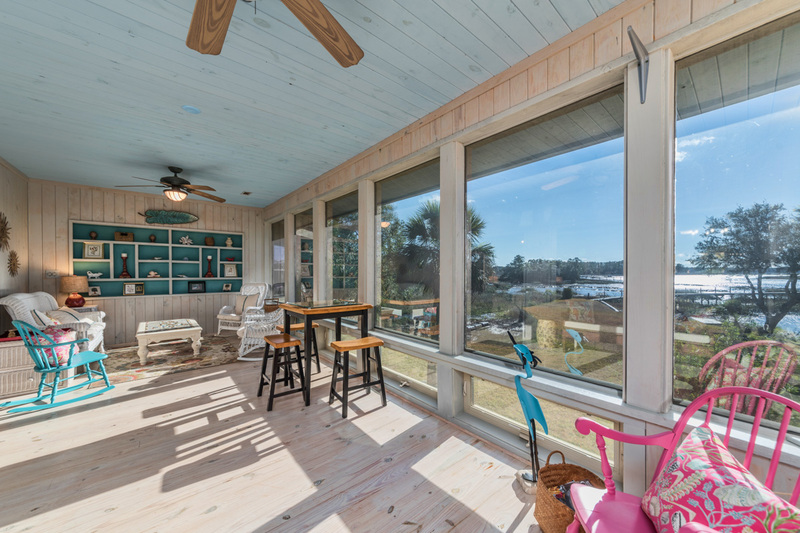 The kitchen, living room and sun-room are located on the second level of the home. 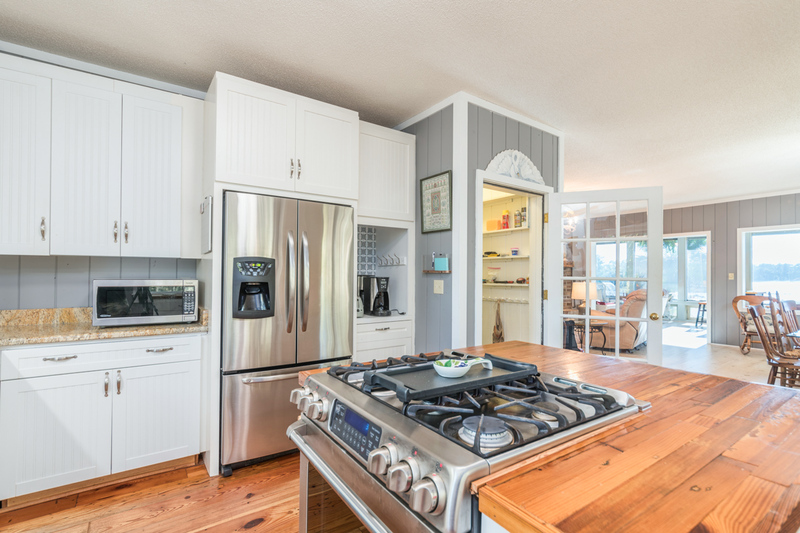 The cooks in your party are sure to enjoy the gourmet kitchen with its granite counter-tops, stainless steel appliances, and chef’s oven and range. 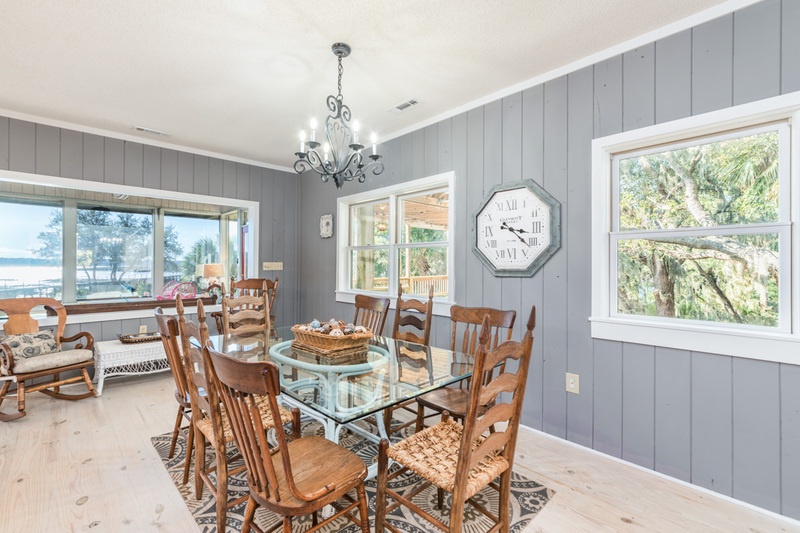 The table in the dining area can comfortably seat eight. 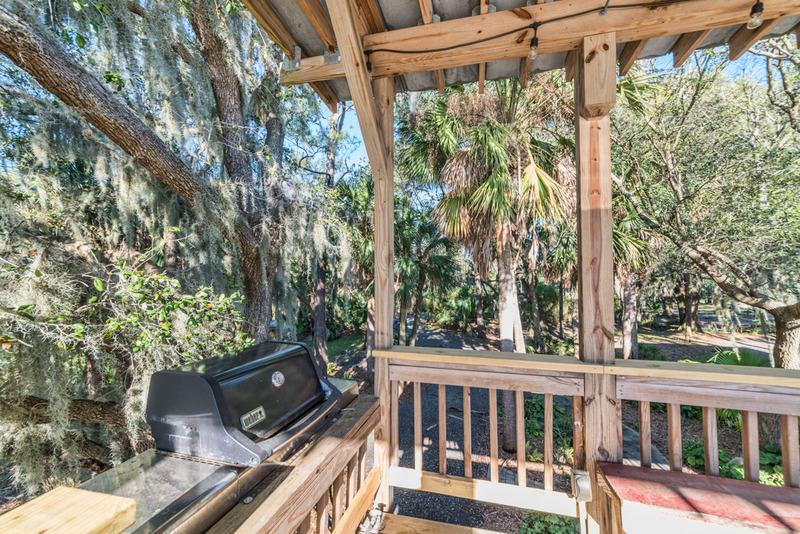 Should you choose to dine outdoors, the covered deck has a table that seats six, as well as a gas grill. 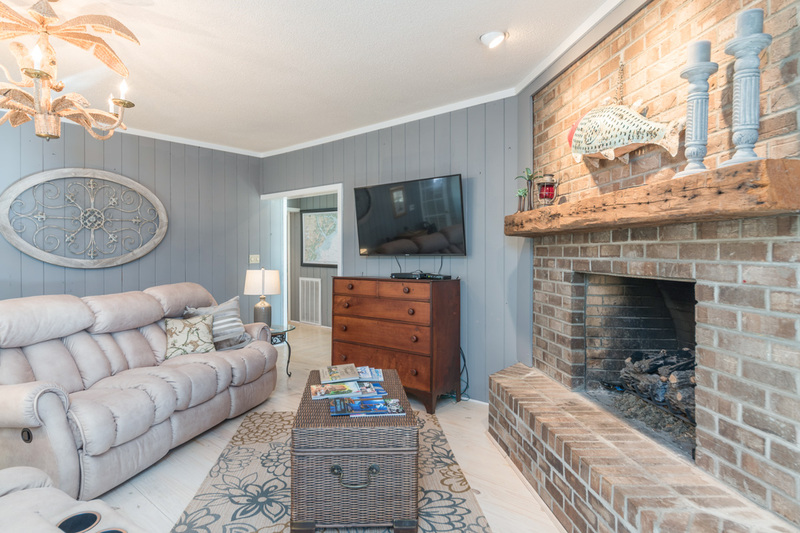 After dinner, your group can take in a movie on the wall-mounted, flat screen TV above the gas fireplace in the living room, with seating for six. 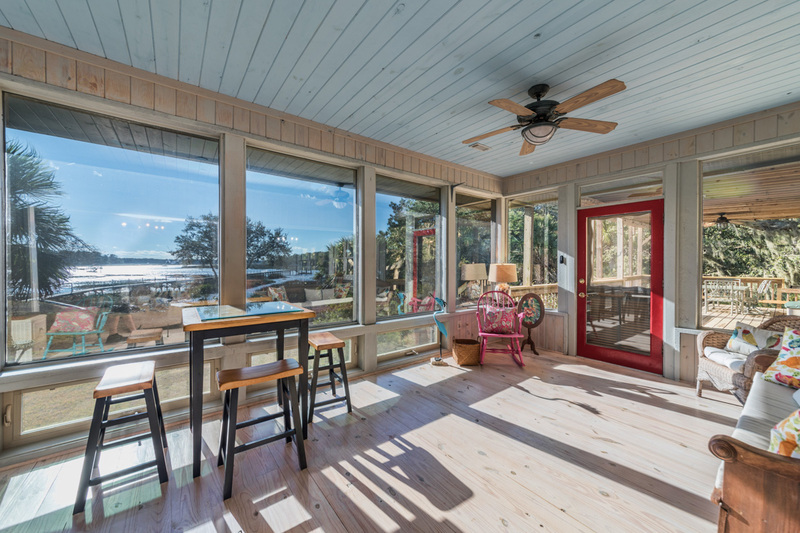 The living room flows directly into the sun-room, with its expansive wall of windows which look out onto spectacular views of the Coosaw River. 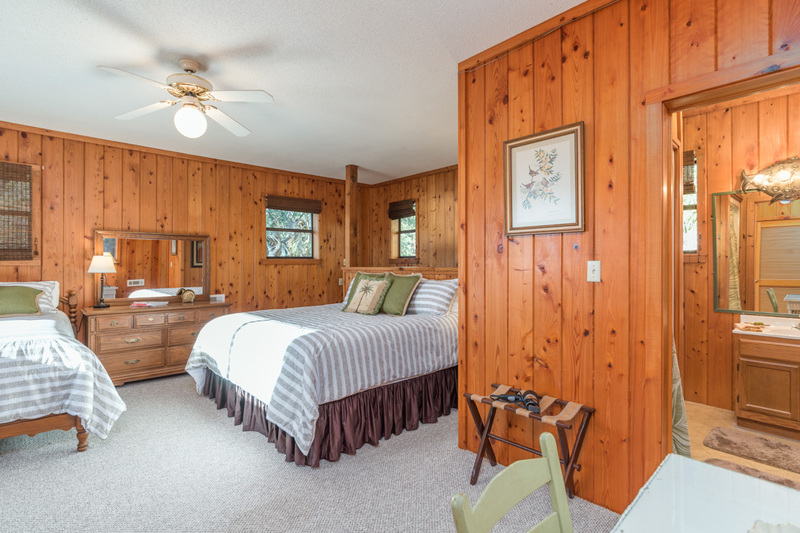 At the end of a busy day exploring, guests can retire for the evening in one of four bedrooms. 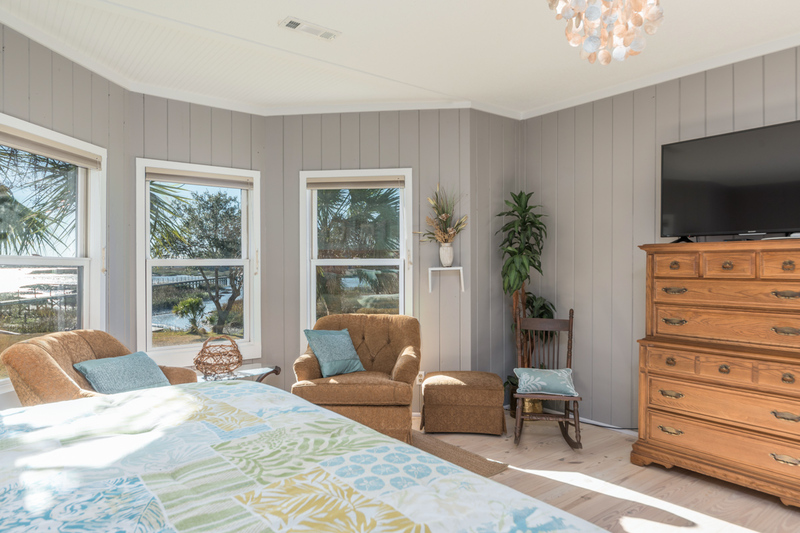 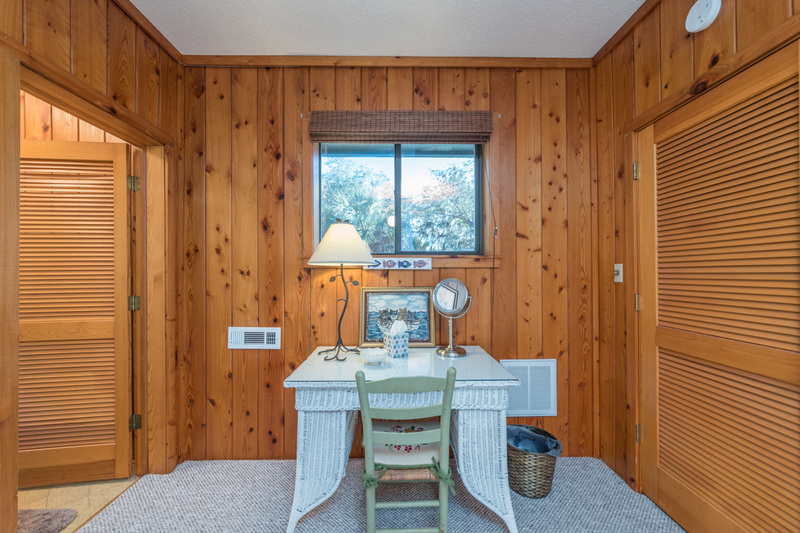 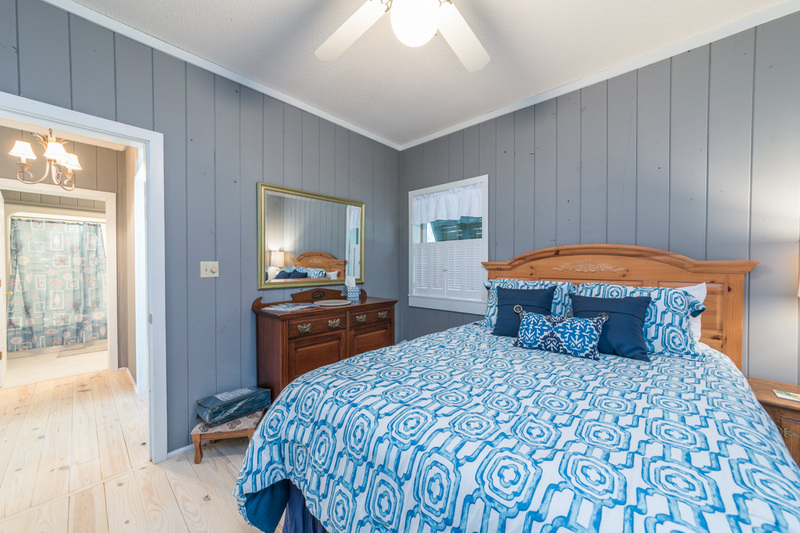 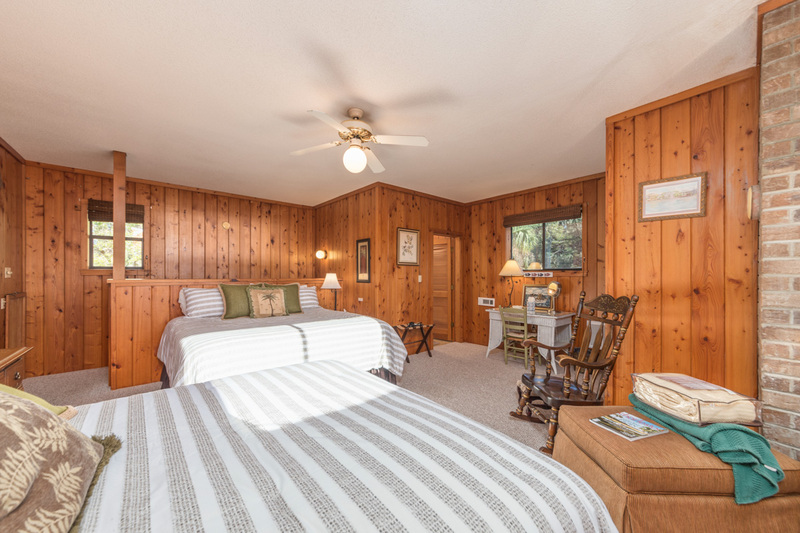 There is a king-sized master bedroom, replete with a flat-screen TV, a set of bay windows with lovely river views and an en-suite bathroom with jetted tub and separate shower is on the second floor. 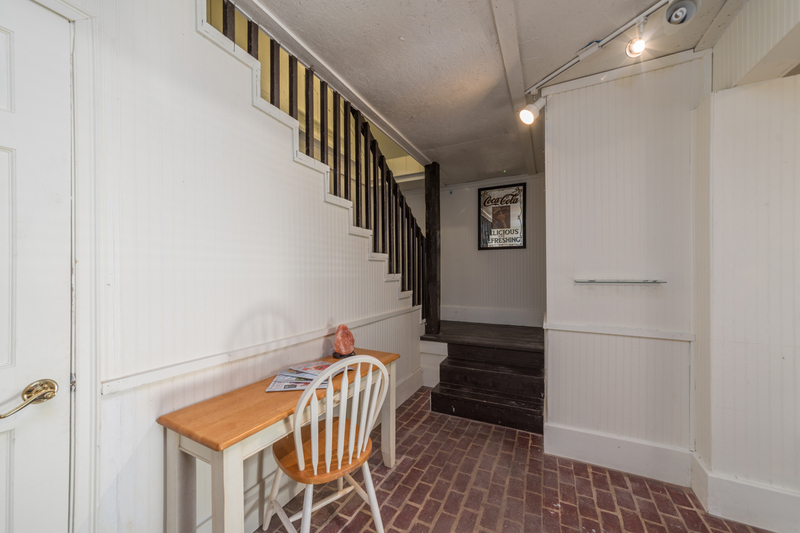 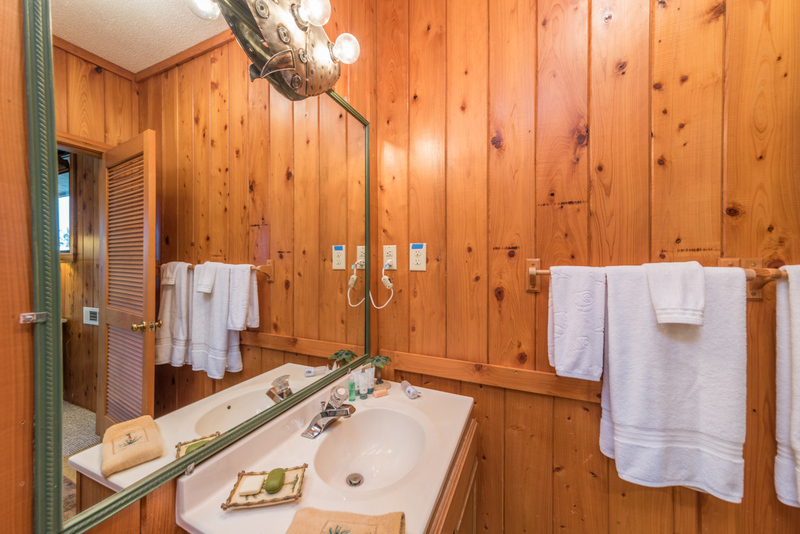 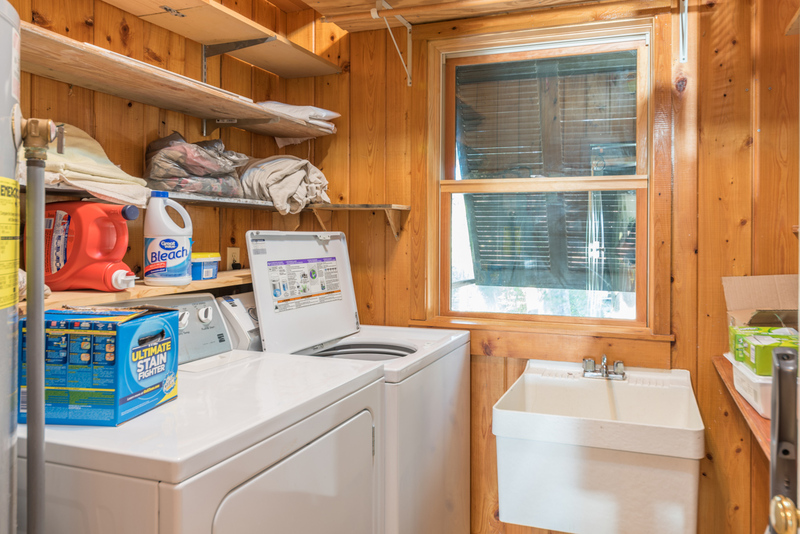 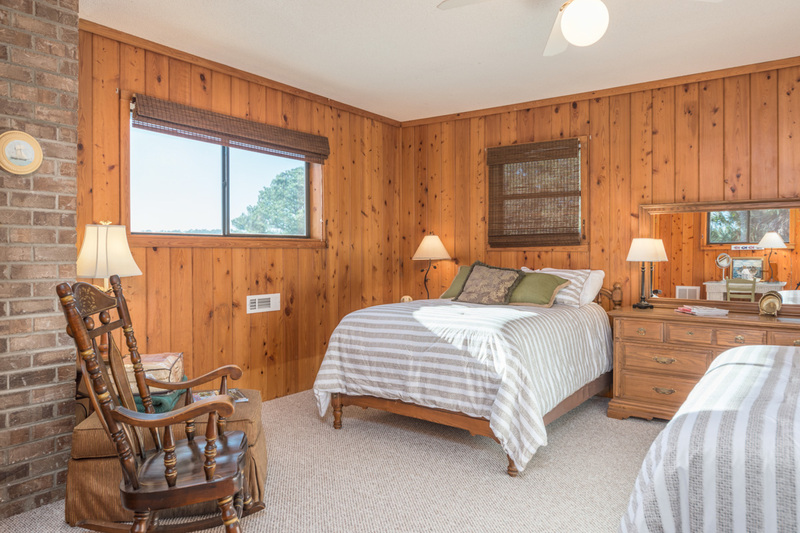 There is also a queen-sized bedroom on this level, along with a full-bath across the hall. 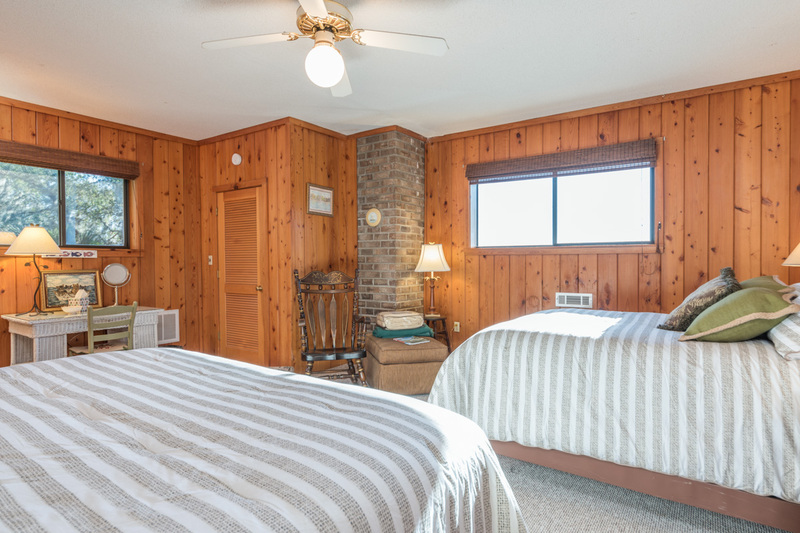 The third floor has a bedroom with two beds; a full and a king (ideal for the kids in your group) and a full-bathroom with shower. 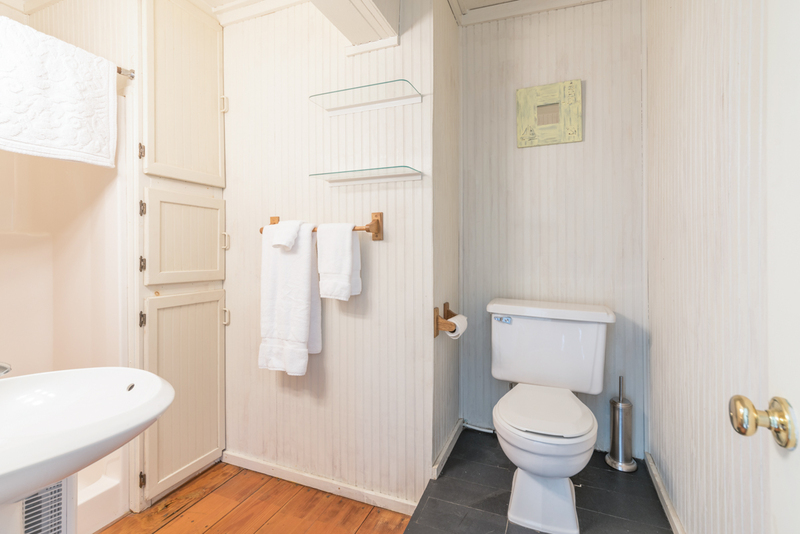 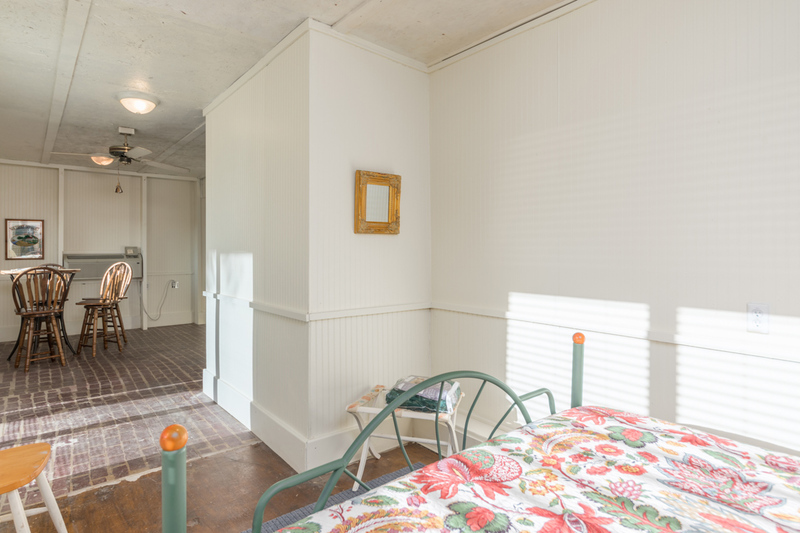 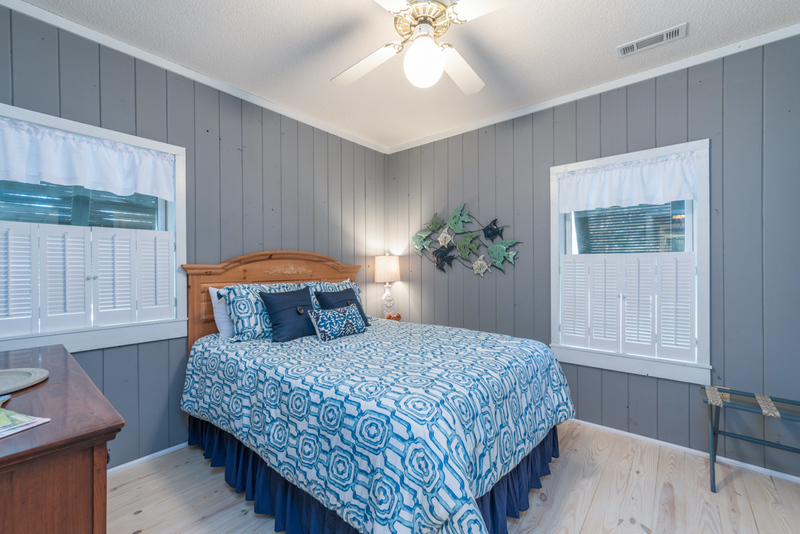 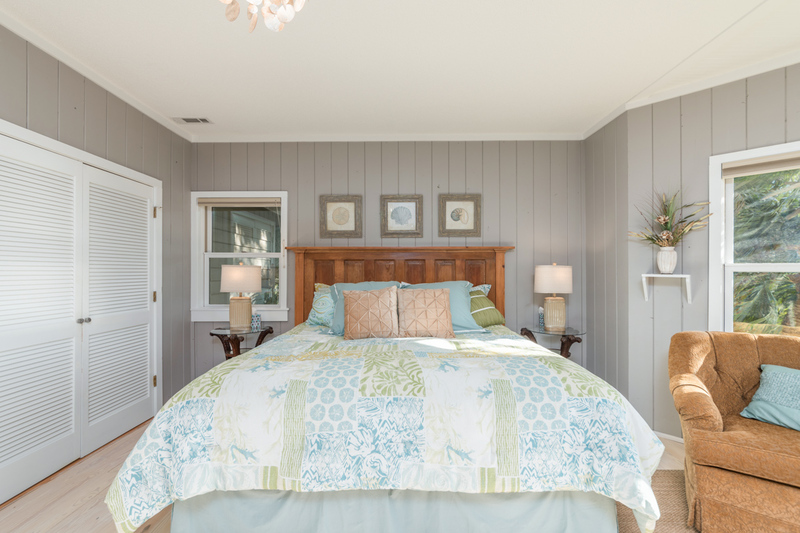 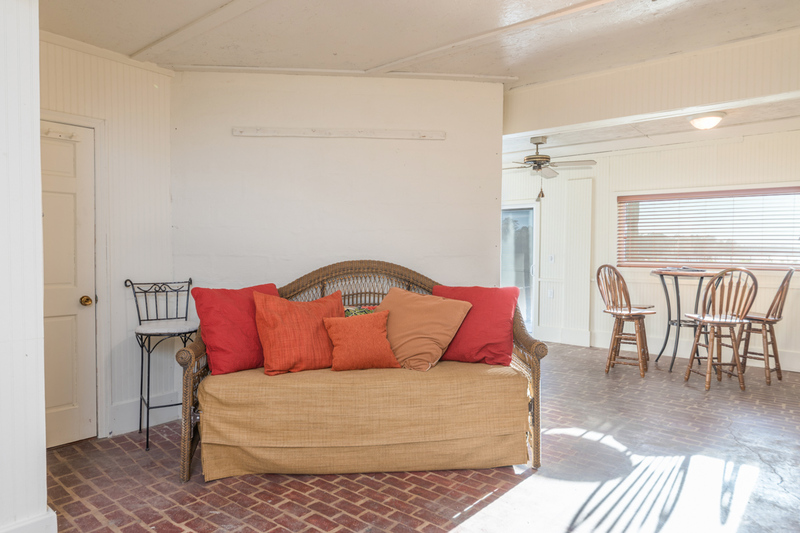 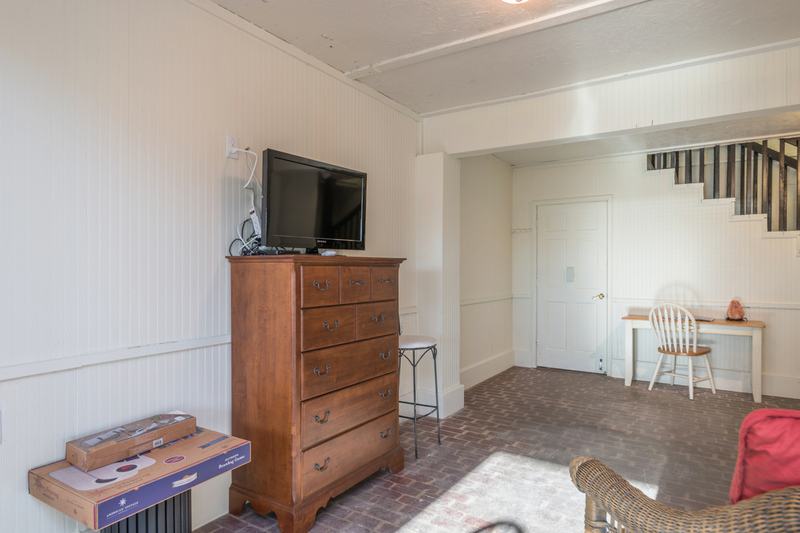 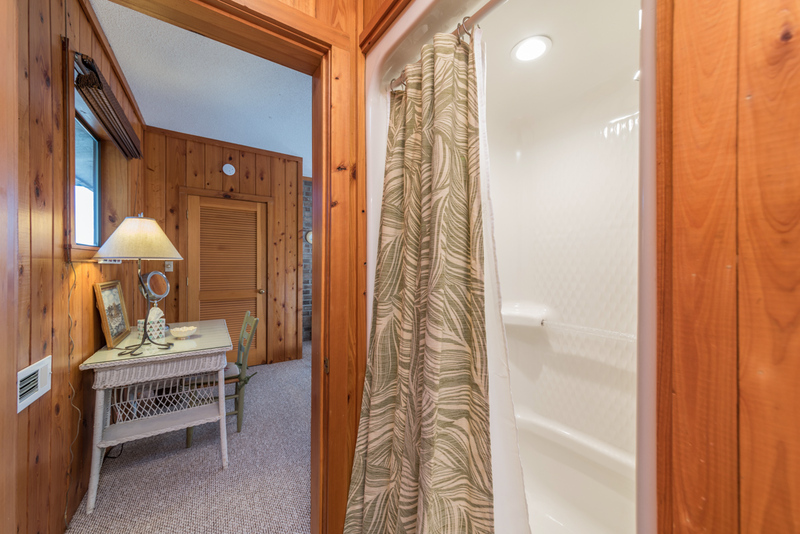 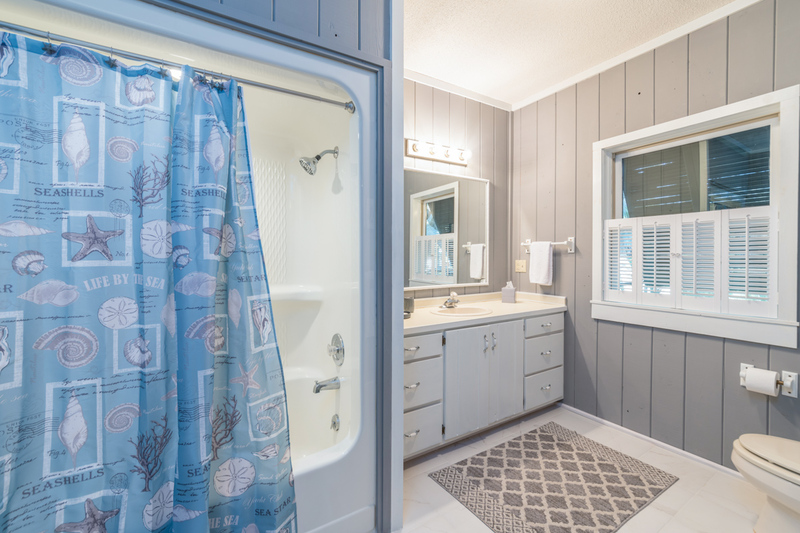 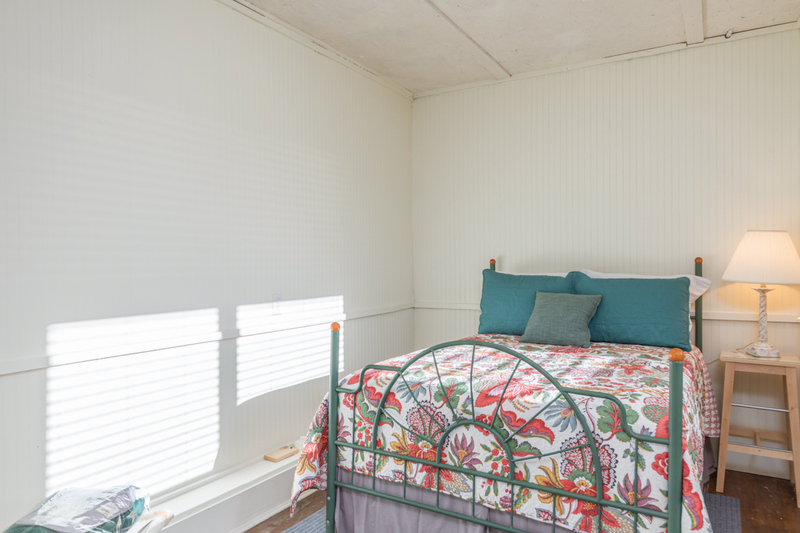 The ground floor features a daybed and a full-bed, along with a bathroom with shower.